Online access to their membership website was provided by 3P Learning for the purpose of this TOS Schoolhouse Crew review. Before this review, the last time that we used Mathletics, my oldest daughter was in 6th grade and my son was in kindergarten. 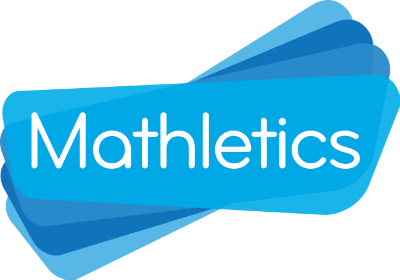 Mathletics is an online program which allows K-12 students to work individually at their level with a variety of math concepts. The program is intended as a supplement, not a full math curriculum. When you first visit the Mathletics website, you may notice their "hall of fame" with the students with the top points listed. Each time he logs in, my son looks to see if his name is there. He was so excited to show me when he made the leader board. This program has reminded me how motivating healthy competition is for my son. Subscriptions are $59.00 per student per year. Sign in is accessed from the home page, and parents and students each are assigned user names and passwords. Even though we hadn't used the program for several years, our log-in names were the same and the past results were still available to view. After logging in as a parent, printable student workbooks and corresponding teacher books are available to download. Each grade level has multiple book selections shared by topic. Like the online problems, the workbook problems provide practice of skills but not instruction in how to complete the problems. Another parent benefit is weekly emails. Reports are sent of each student's progress. When a student logs in, they have six choices: Live Mathletics, Activities, Problem Solving, Concept Search, Rainforest Maths, or Times Tables Tunes. The website notes that Mathletics can be used through K-12, but not every option works for every grade. Rainforest Maths, for example, goes through 6th grade. It is recommended that students use Mathletics math practice at least three to five times a week. Six years after first using it, my son still thinks the program is fun. He is an active kid who enjoys being outside, but he also likes computer games. I limit his screen time, yet educational games like Mathletics are one thing I don't limit. His favorite part of the program is the live Mathletics which allows him to either compete against other kids around the world who are logged on and selecting Live Mathletics at the same time or against the computer. He likes competing against other kids. Their screen name and "team" are visible but chatting is not built into the program. Locations are shown from around the world, but there is no messaging between students. They work on problems simultaneously to see who can submit the correct answer first. The team reflects the country where each child resides or in some instances a school group. Joseph plays for "Team USA." Certificates like the one pictured above are earned as the student earns points. They may be viewed when logged in or printed. You do have to be connected to the Internet to access the program, though options for that have changed from computer only to also include a mobile app. My children accessed the Mathletics program through our laptop. Both of my children using this online math program worked through the problems independently with infrequent questions. There have been additions to the program over the years. The high school selections, for instance, include more comprehensive options. My 11th grader will be learning trigonometry this year, so I was happy to see online math practice problems that will even complement her trigonometry lessons. She commented that explanation is not provided before the activities, which can make them seem hard. After completing a lesson, however, you can click on the incorrect answers and see how the problem should have been worked out. My son views Mathletics as a game. My daughter appreciates the options for practicing newly learned math skills in a different format. 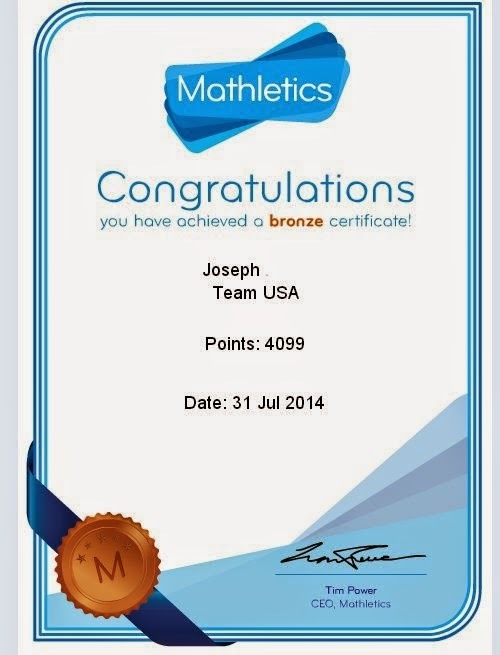 We will be incorporating Mathletics into our lesson plans throughout the next year.